Hobark International Limited, a parent company of the Hobark group operating in the oil and gas industry currently seeks the services of a Nurse for the Positions of Occupational Hazard Nurse. The company was incorporated in 1998, starting as a staffing agency based in Port Harcourt. Currently we have offices in 4 countries with our head office in Lagos. Check and secure that each crew has passed their medical examination before taking aboard. Respond to accidents and or ill crew member. Responsible for supervising all company Occupational Health Nurses (OHN) and ensuring that company clinics and operated in accordance with best practice. Assuring enough supply of medicines and other medical equipment on rig and all other operated clinics. Keeping medical records of each crew. Periodic review of HMO policy and advising management on all medically related issues. Plan and execute in-house training and development projects relating to health, medical awareness sessions, sanitation and first aid. Providing input on Site Specific Emergency Response Planning. Assist HSE Manager or Safety Officer in their duties as required. Other tasks as required by HSE or Management. Must be a graduate of a medical school and must hold a license to practice as a nurse. Must have at least 5 years experience working as a nurse. HSE, BSc, Oil & Gas, Operations, QA/QC. 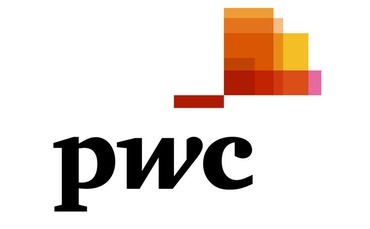 PricewaterhouseCooper (PwC) is set to recruit for its client, Africa Power and Development Advisors (APDA) for the position Manager, Oil & Gas and Power. We were set up with a mandate to provide first class advisory services to African countries to attain economic advancement through regional interdependence and international cooperation within the context of their national development plans and achieving the United Nations Global Development Goals. This role is responsible for the execution of the various advisory and project management activities that focuses on the needs of clients in the Oil & Gas and Power Sector. Establishes an execution plan to achieve the project objectives that is consistent with the terms of the contract and the organizations mandatory requirements. Oversees all APDA’s Oil & Gas and Power related projects by ensuring deliverables/scope, costs/budgets and schedules/project are met. Identifies all resources and support (i.e. human, physical, financial) required to achieve the project objective and deliverables. Manages the execution of projects while promoting quality and safety by providing leadership and clear direction to project teams with a focus on the organization’s specific related capital projects. Monitors and controls project performance against budget, schedule, quality and safety requirements using appropriate control tools, and reporting to Management and the client. Identifies changes in the scope of work and ensuring that change orders are current and adequate while effectively communicating project scope and changes to all stakeholders. Monitors cash flow to protect APDA and client investment in the project. Nestle Nigeria Plc, a leading Manufacturing, Nutrition Health and Wellness Company company in Nigeria is currebtly seeking th services of a suitable and qualified Graduate Cost Analysts. A presence in more than 130 countries and factories in more than 80 research centres brings many global benefits. We believe in long term career development and appreciate how challenges and motivation will help you reach your potential. Nestle Nigeria Plc upholds the principle of Non- Discrimination and Equal Employment Opportunities in its recruitment processes. As our Cost Analyst for the Nestlé Waters business, you will provide support to the Factory in the pursuit of cost optimization, adequate internal control and compliance. By providing visibility and insight into manufacturing variances, the integrity of financial reporting will be ensured. You will work closely with manufacturing to understand how they impact on financial result. Be an active contributor to improvement projects and initiatives and seek, support cost improvement opportunities. Review daily, weekly and monthly variances; analyze, challenge and investigate variances. Review and validate factory reporting of weekly actuals and provide these reports to facilitate meetings thereby ensuring transparency and reliability of information. Perform financial simulations, product costing and CAPEX evaluations as required. Coordinate and provide inputs for budgeting, capacity runs, planning and for dynamic forecast. Analyze actual cost of production and prepare periodic reports comparing standard costs to actual production costs. Coordinate monthly and year-end inventory. B.Sc. or HND (Minimum of 2.2 or Lower Credit respectively) in Accounting or Finance. Must be ICAN / ACCA Certified. Must have 1 year post NYSC experience in Accounting & Costing in a Fast Moving Consumer Goods (FMCG) environment. Manufacturing costing experience, ideally within a factory or supply chain environment. Microsoft Office package skill proficiency, including intermediate skill level in Excel, Word, basic PowerPoint and Access; SAP (or the equivalent ERP) experience. MTN Nigeria is set to recruit for the positions of Graduates for the Positions of Administrator, Freight Clearance. The leader in telecommunications in Nigeria, and a part of a diverse community in Africa and the Middle East, our brand is instantly recognisable. It is through our compelling brand that we are able to attract the right talents who we carefully nurture by continuously improving our employment offerings even beyond reward and recognition. To document and provide administrative functions required for the movement and safe delivery of freight. Drive Innovation by identifying and taking advantage of new business opportunities, e.g., by stimulating and encouraging new business opportunities, launch of products, product/process innovation etc. Maintain leadership in the ICT/Digital industry by keeping abreast of relevant industry news and notifying the team as appropriate. Enhance/expand MTN’s role in the larger national macro environment by participating in CSR projects and/or NGO’s, involvement in recognized professional institutions etc. Document all freight itinery and equipment receipt. Assist in planning for the reception of freight. Assist in the inspection and the packing of freight on receipt. Produce monthly reports and maintain the knowledge repository. May be required to work extended hours. BA, BEd, BSc, HND or BTech. Successful applicants shall have the opportunity to develop specialist skills and professional competencies in oil/gas regulations and supervision during their career. Possess B.Sc/HND Accounting etc with a minimum of Second Class Lower or Upper Credit. Not more than 30 years old by 31st December, 2016. Scanned copy of a passport photograph. Scanned copy of certificates (N.Y.S.C. Discharge/Exemption certificate, Higher Institution Certificate, S.S.C.E. Certificate). Scanned copy of any other necessary supporting documents. Only applications in respect of the advertised position would be considered. All applicants are expected to apply for ONLY ONE position. Multiple applications by any candidate for more than one job would be DISQUALIFIED. Upon submission, applicants would receive an acknowledgment containing a reference number which should be quoted in all future correspondences. Note: Only Shortlisted candidates will be invited for interview. Nigerian Ports Authority (NPA) was established in 1954 by ports Act as an operating port with the responsibility of providing all port services. 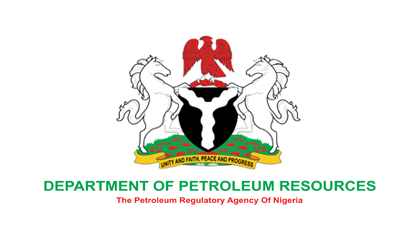 The Authority is a government owned agency charged with the responsibility of Port Administration in the following locations; Lagos, Port Harcourt, Onne, Warri and Calabar. Ability to swim is a necessary pre-requisite for the position. Only short - listed applicants would be invited to undergo written test, interview and medical examination. We are aware of illegal websites purported to be from Nigerian Ports Authority, soliciting for applications for employment. Members of the public are advised to disregard any other website apart from the one given above.